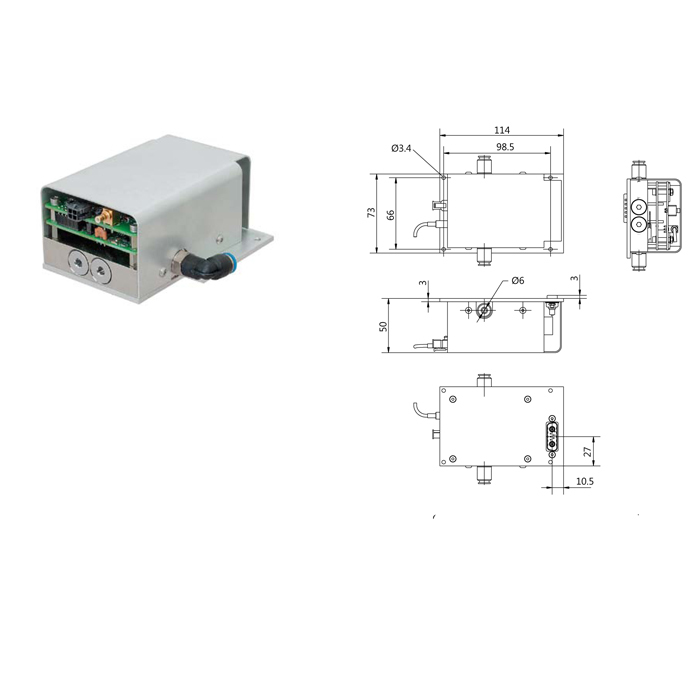 DPD series drivers are designed for wide range of applications and operating modes. 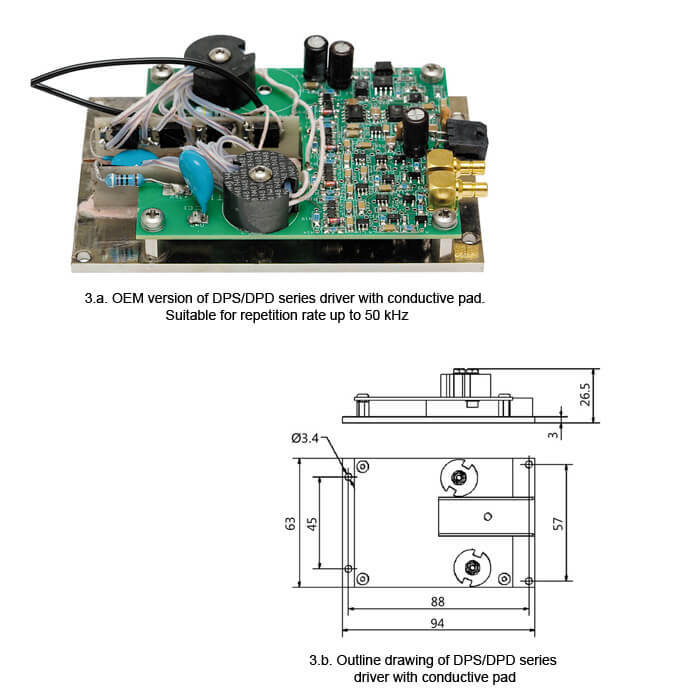 Repetition rate can be up to 500 kHz for standard range of drivers, up to 1 MHz enhanced and up to 3.5 MHz high rate. Not all combinations of parameters can be possible at the same time. Specifications are given for Pockels cell with capacity <6 pF. Driver needs to be mounted on the heatsink (excluding water cooled versions). Heat sink temperature needs to be lower than 35°C (95°F) in all regimes of ooperation. Driver needs to be mounted on the heatsink (excluding water cooled versions). 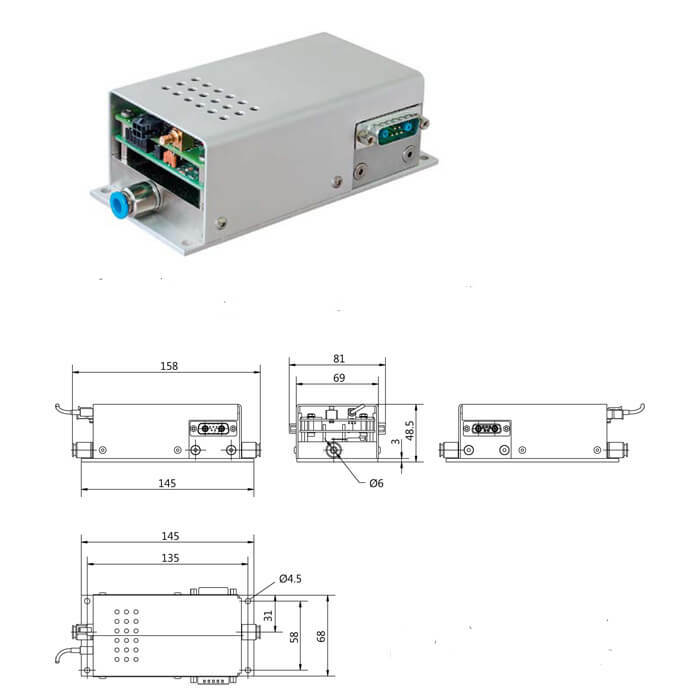 Heat sink temperature needs to be lower than 35°C (95° F) in all regimes of operation. 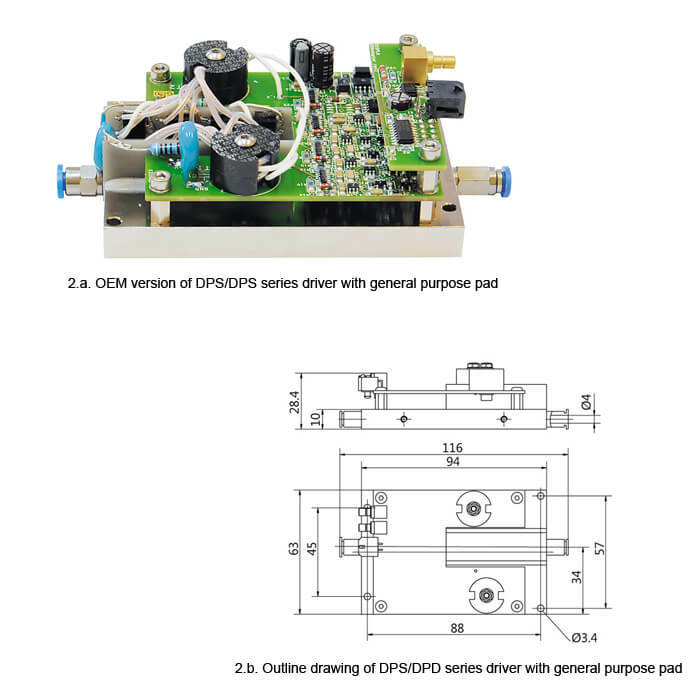 DPD series drivers are designed for wide range of applications and operating modes. 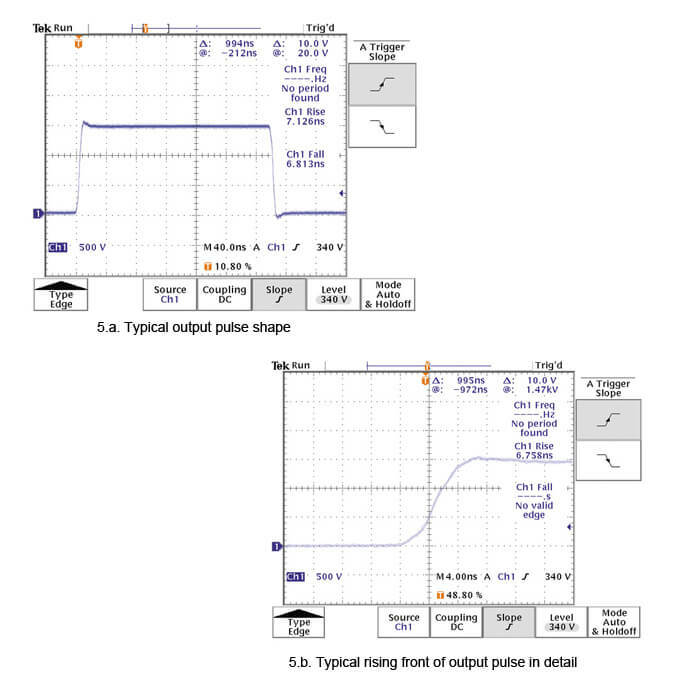 Repetition rate can be up to 500 kHz for standard range of drivers, up to 1 MHz enhanced and up to 3.5 MHz high rate. 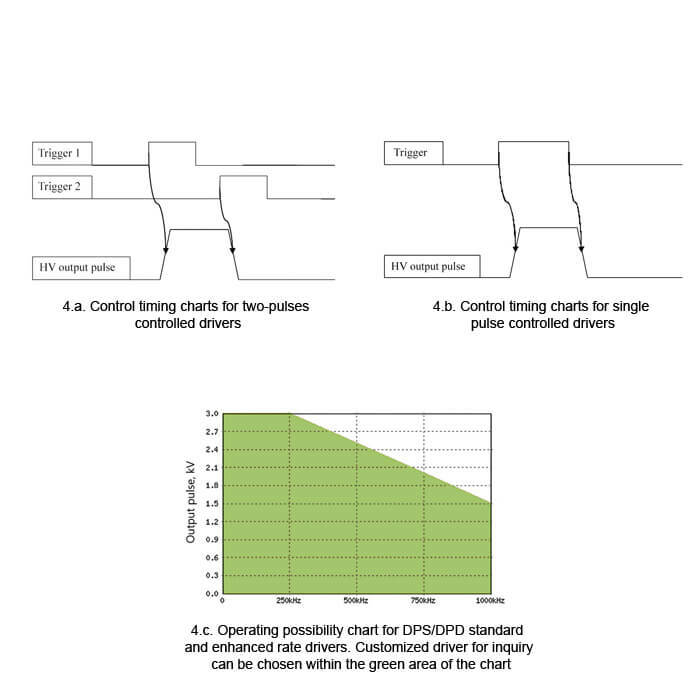 Standard range of possible pulse durations is from 100 ns to 5 µs. It can be extended to infinity using pulse regeneration technique. Connection diagram can be PUSH-PULL configuration using stand-alone driver, as well as FULL BRIDGE using two drivers for one Pockels cell. 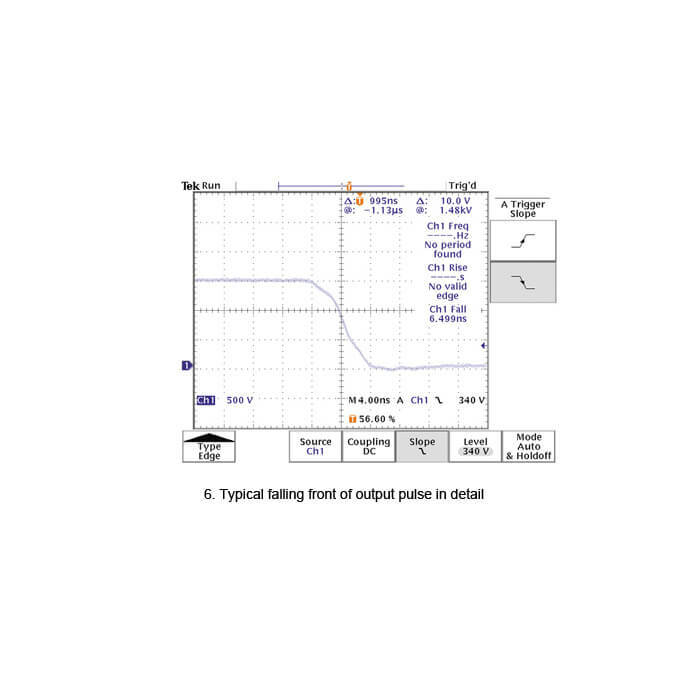 FULL BRIDGE configuration gives such advantages as repetition rate doubling to reach up to 7 MHz rate, pulse duration shortening down to zero or voltage doubling on pockels cell. Contact us for extended information and suggestions for pockels cell driving solutions you need. 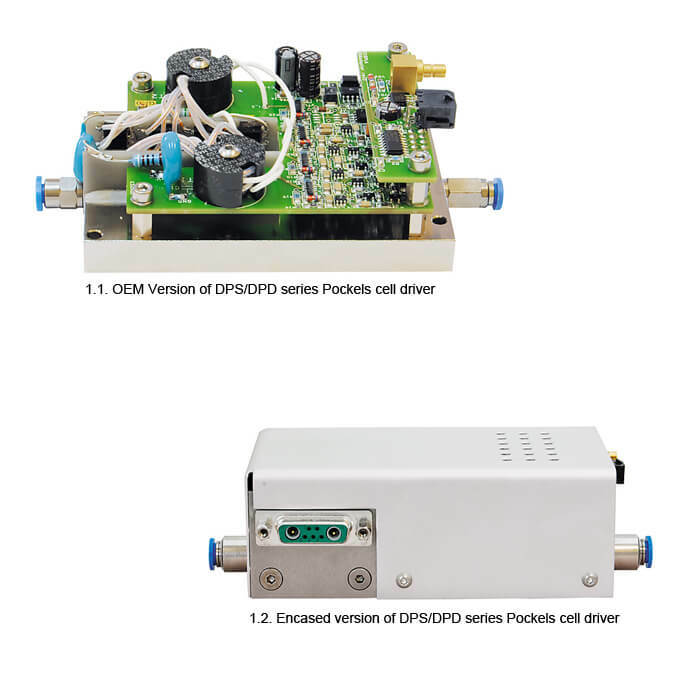 DPS/DPD series units are available in two versions: „open frame“ which is ideal for OEM manufacturers incorporating drivers in their own systems and encased in aluminium housings for researchers. Encasing of Pockels cell driver in aluminium housing solves two problems: shields both humans and electronics from high voltage impact from operating Pockels cell driver, and protects driver itself from potentially harmful external contact – ensuring safe operation and driver longevity. The housed option is especially handy for researchers and custom product manufacturers who use these drivers during their own systems build-up.